Zeelander Yachts was Established in the Netherlands in 2002, we create high-end motor yachts that marry form and function to perfection and perform to the highest possible standard. Every Zeelander is a piece of art on the water, created for connoisseurs of life who understand what it takes to create the very best and want to invest in their own pleasure. 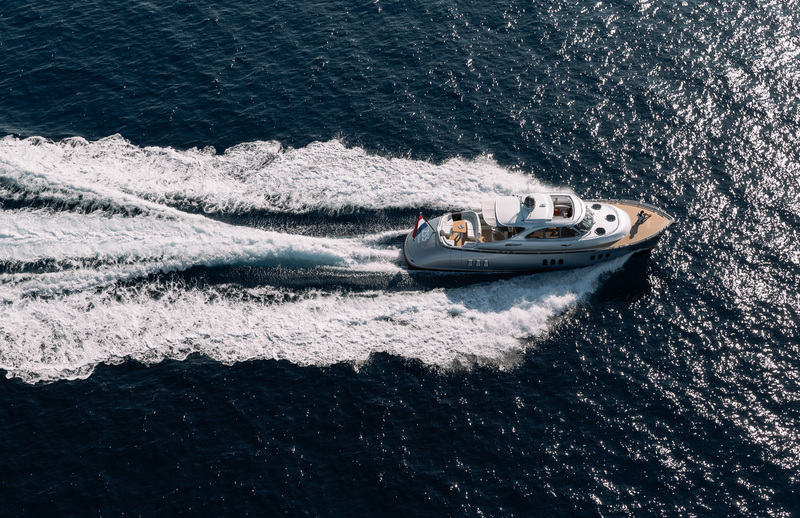 The Zeelander Yachts design team works closely with the world-renowned award-winning designer cor d. rover to refine and perfect every aspect of these unique yachts. The total amount of man hours put into the design, development, and build of each Zeelander far exceeds that of any other yacht in its class. Exuding class and elegance with her smooth curves and classic lines, the Z44 also offers unparalleled ease of operation and functionality. Every aspect is finished to perfection yet very functional and simple to work with. Every passenger can take in the marine environment with the 360° panoramic views from the comfortable raised seating areas. An oversized sunroof converts the wheelhouse into an alfresco entertainment area that adds to the overall enjoyment of being in command of a Z44. It was an obvious direction for Zeelander Yachts to develop a larger model that would accentuate the very best elements of the Z44. Being 27% longer than its smaller sibling equates into twice as much volume, offering owners more space in which to enjoy. The Z55 is the new benchmark for luxuries boutique boatbuilding. Being 27 % longer than its smaller sibling equates into twice as much volume, offering you 100% more space in which to enjoy that unsurpassed Zeelander feel. The Zeelander Yacht Z55 has four headlights and three bedrooms, a master suite which includes a vanity table, a VIP suite and a guest cabin with bunk beds. A swimming platform is fitted on the aft of the boat to provide you with easy access to the tender and the water. At Zeelander we always aim to be the very best in our market and that demands a constant increase in quality. There are numerous options for customizing your Zeelander 55, Something which no other yacht builder offers in this size range.